Review: The immortal gods do not appear to be immortal anymore. Athena is slowly choking on feathers and Hermes is wasting away. Teaming up, they decide to seek the cause of their ailments, while also trying to track down Cassandra-a seemingly ordinary girl with psychic powers who could be the key to everything. 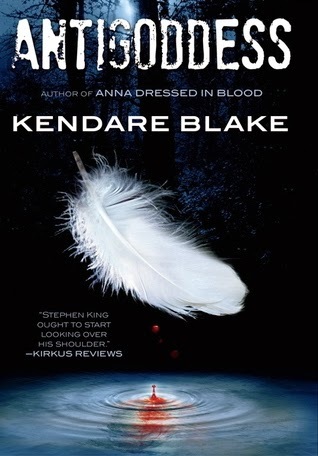 This is my first Kendare Blake book and I really enjoyed it. This was a unique twist to Greek mythology-gods living among us who are losing their powers and slowly dying. I think it was a fun book to start a series with and I'm interested to read the next one when it comes out. One recommendation I would have for anyone interested in this book, is to read a refresher on Greek mythology because I couldn't remember anything (high school was a long time ago!). Overall, not a perfect book but a fun book with a strong, female lead (Athena) and potential for a great series.